Slava was born in a little town in central Russia. Still in high school, he started practicing the art of pantomime, but right after graduation he left for Leningrad in order to enroll in Engineering-Economic Institute. Yet, he never abandoned pantomime, and very soon it became his primary focus. His eccentric pantomime, which he lovingly dubbed “Expressive Idiotism”, brought him enormous popularity. In 1979, it also crowned him an artist laureate of Estrada, the Russian showbiz stage. There wasn’t a single concert of note in which the double-act Polunin-Skorzov didn’t play a part. Basically I am a silent storyteller. My closest relatives are Munchhausen and Gulliver. Clowning is a certain point of view on the world, an ability to see things in a way that differs from what people usually see. It is a great pleasure to collect joyful people who live and create things in this dimension. Once you start, you cannot stop. Poluninhas always been looking for new ways in clowning, for a new clown. “For many years, I have studied the possibilities of clowning. 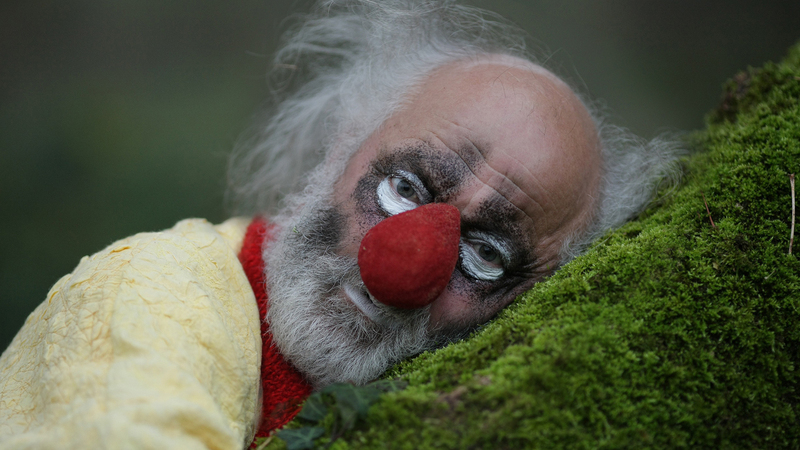 I was longing to understand if clowning could be lyrical, poetic, dramatic or tragic,” – says Slava. Asisyai first appeared before an audience of millions of television viewers in the new year’s edition of “Blue Light” in 1980-1981, in a sketch with two oversized inflatable telephones. A thoughtful, gentle, poetic character came into the world drawing on the poetic sadness of Leonid Engibarov’s clownery, the refined philosophising of Marcel Marceau’s pantomime, and the humanity and comic poignancy of great Chaplin’s films. Here for the first time was heard his dialogue on love, on loneliness, on the longing for human understanding, on the bliss of discovery and the bitterness of loss, which to this day accompanies Polunin’s hero – and the clown himself – to his audiences in the most diverse corners of our planet. From the very start, Polunin’s clown character was versatile and multifaceted: he could be gentle and naïve, but ironic the next minute, or puffed up in full-blown conviction, emitting his invincible “Zya!”. So the thought arose, that each facet of his character could grow into a separate personage. 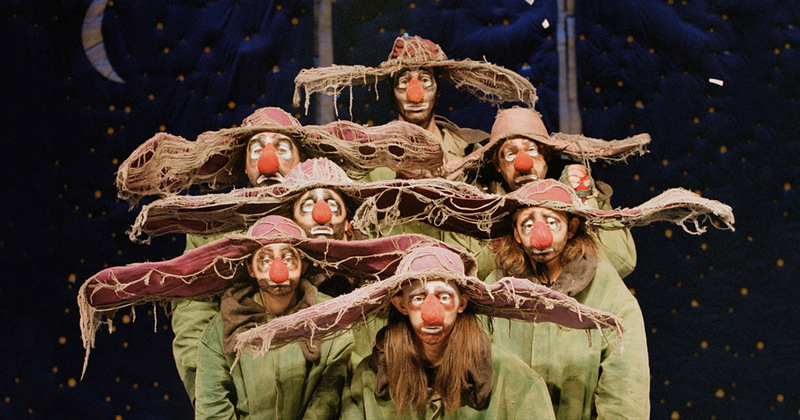 This is how the idea for a theatre of clowns was born, where each is different from every other, but recognisable and familiar to every single member of the audience. This kaleidoscope of characters came to fruition in a renewal of his Licedei, a theatre founded by Polunin himself, whose last curtain was only to fall in the early 90s. The Licedei was stunningly popular not only across the entire country. But the time came to part with the beloved theatre to set of on a journey to where no one has trodden before. 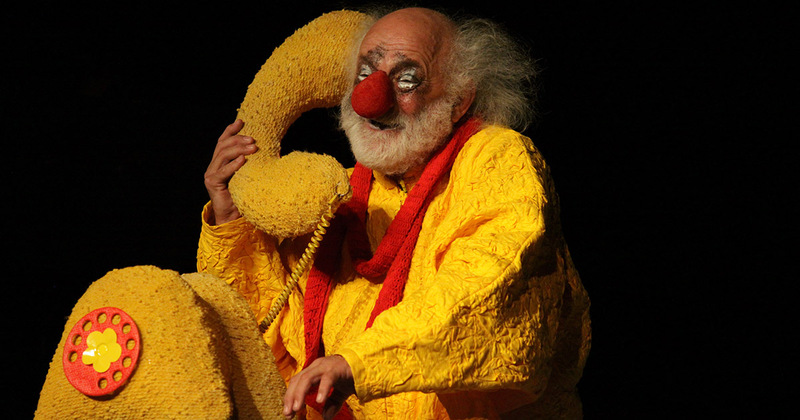 These thoughts have lead Slava to creating a kind of show that would allow him to make his ideas come true, to find the realization for his aspirations and hopes for boundless possibilities of clowning. 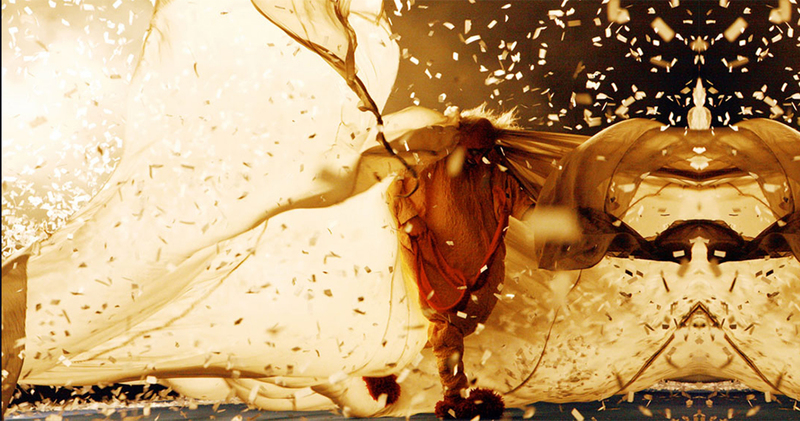 Thus was born Slava’s Snowshow – a show that became a “theatre classic”. Its devoted fans follow the show across the many countries on its tour schedule, in the hope of coming back to this astonishing world of dreams and fantasies, to the world of childhood.